The Physical Inventory Reconciliation module allows you to compare in-store inventory versus what is inventoried in your Liberty database. 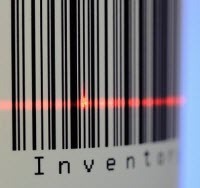 The program creates a snapshot of your current inventory which is then compared against a list of items entered through a portable barcode reader. There are exception reports which can be run which shows which items are not accounted for. It also has a built-in post routine which will mark the unaccounted inventory to whatever disposition you desire such as 'lost', 'stolen','other', etc. Installation of Opticon drivers, setup of Opticon program and creation of an inventory reconcile folder placed on the desktop. The training session on the inventory reconciliation is store specific so please make sure to schedule an appointment with our support staff to ensure that the reconcile utility is properly setup to meet your specific needs. Our support team will walk you through every step on how to use this utility and export any data collected by your Opticon Bar code Reader to your computer. A copy of the Inventory Reconciliation Program guide will also be provided for reference.